In the location I have chosen to explore and photograph for my new project there are a good number of woodland areas, some of which are managed by the Forestry Commission. Open access to this land is not clear although I underdstand The Forestry Commssion has started the process (in June 2017) whereby it will designate its land for public access under the Countryside and Rights of Way Act. When I visited this wood recently I stayed on one of the public footpaths. 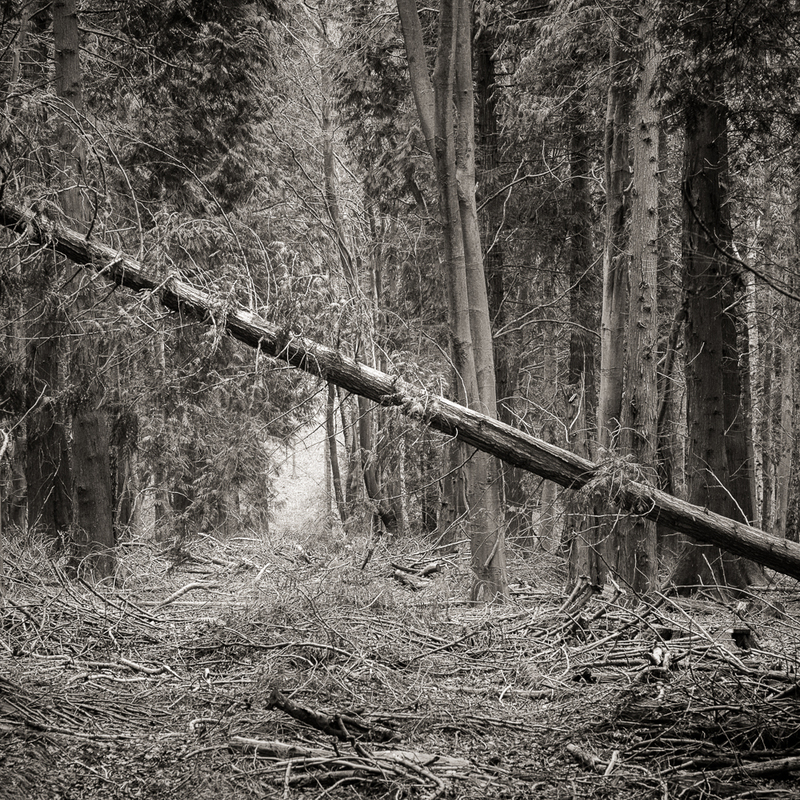 I did though venture into the wood itself having noticed a single fallen pine tree which I thought might be an interesting subject to photograph. This tree had not been felled by a forester. 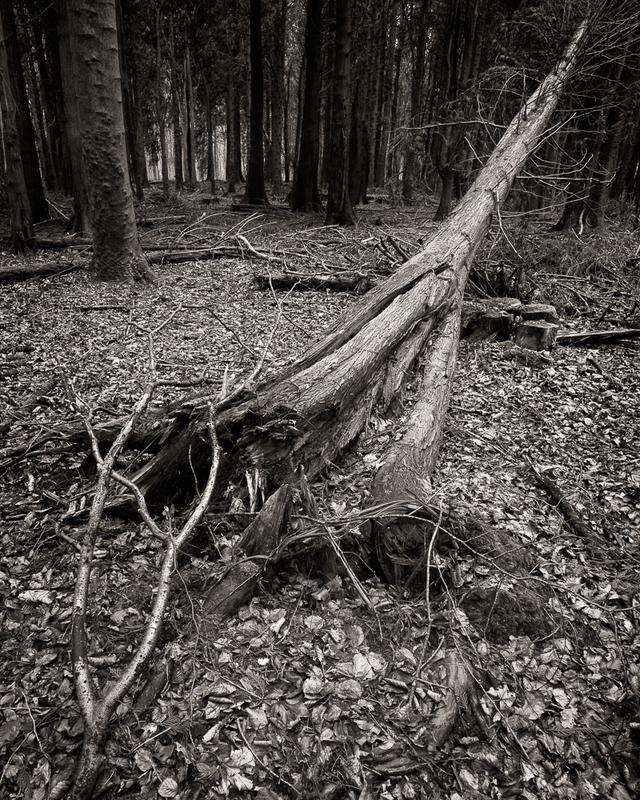 From the angle of its trunk it was clear nature had been the cause of its downfall. I took a number of frames from different positions using either a 90mm short telephoto lens to compress the detail or an 18mm super wideangle to get up close and personal. I also was interested in the amount of debris from other trees strewn across the forest floor which was carpeted with leaves, blown in from the adjoining beech wood. Not far away I found that these fallen branches had been put to good use in the construction of a small wigwam type shelter, I guess by young children. Has to beat looking at a screen and pressing keys for amusement, or am I just showing my age? I have just started reading a book called ‘Wildwood’ – A journey through trees, by Roger Deakin, a writer, environmentalist and film maker. I have only read the first couple of chapters but I am enjoying his writing style and choice of words immensley. Excellent writing can not only help your knowledge and understanding of a topic but can also insprie the reader to view things in a new and refreshing way. 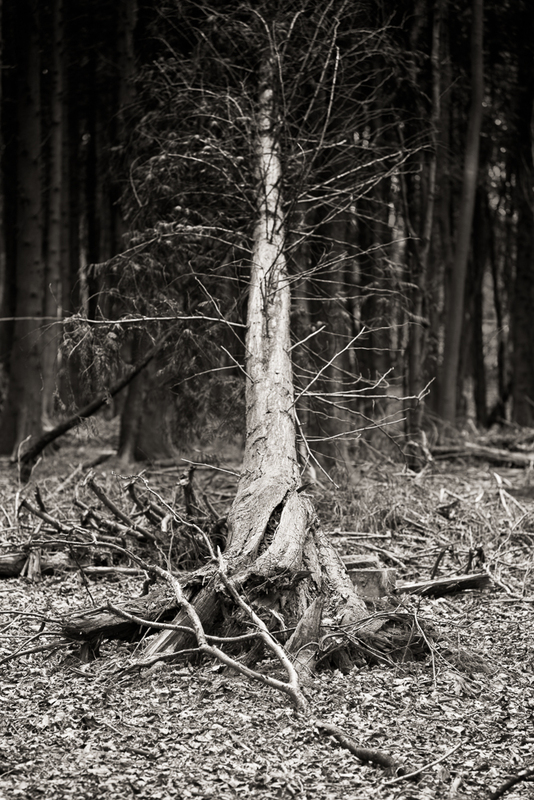 I am confident that on reaching the end of ‘Wildwood’ I too will start to see trees and their landscape differently, which in turn may impact on my photography. I do hope so. 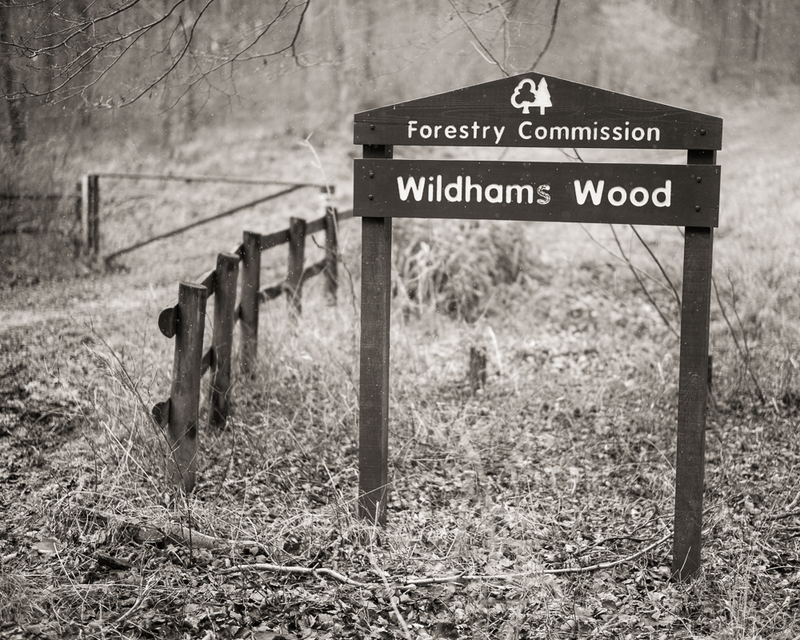 I will finish with a photograph of a sign at the entrance to Wildhams Wood or should that be Wildham Wood? On the Ordnance Survey map it has an ‘s’ on the end, and so does the Forestry Commisiion sign, albeit that the ‘s’ is less distinct. Has the paint been rubbed away by someone who thinks it should be spelt without an ‘s’? Elsewhere on the web the name of the wood is spelt without an ‘s’ so I am not sure which is strictly accurate. I’m sticking with Wildhams as I am more inclined to believe the Ordnance Survey ….. but I could be wrong. Whatever the spelling it doesn’t really matter as I shall be revisiting and photographing this lovely woodland at other times of the year, irrespective of its rightful name. As always do click on an image to view a larger versionw which will open in a new window. Thank you and good luck with pinhole – it’s not something I have tried but it does appeal to me. Beautiful woods whichever spelling is correct. Lovely to see evidence of children outdoors. Thanks for your kind comment. I agree – it was good to see the childrens’ ‘mark’ on the landscape. I’m a big tree lover. They have so much character (not unlike grass species in their individualism). 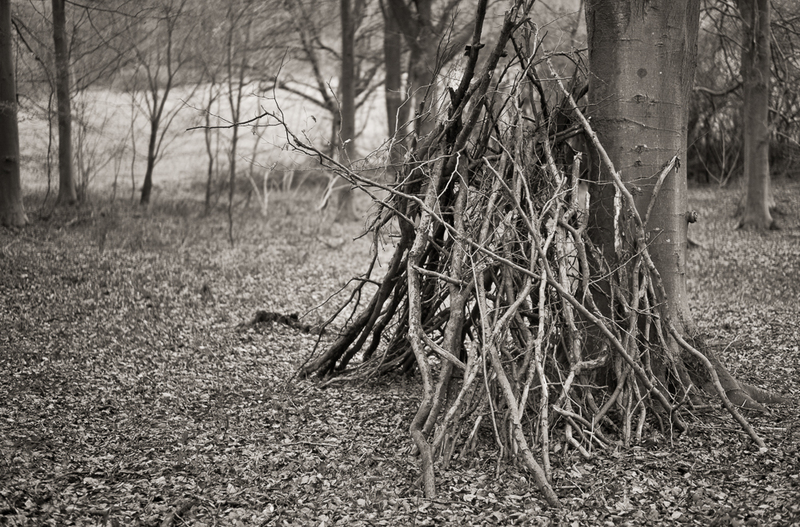 I do so hope the wigwam was built by children. Nothing beats the great outdoors and exploring woods to increase a child’s imagination. A very worthy subject for Photography. Trees are like humans, everyone is different and has its own character particularly at this time of year when their skeletal form is on show for all to see. Children playing in the woods – I couldn’t agree more. Thanks Vicki. Enjoyed the photographs and looks like a lovely place to visit. As to the name, I would have thought that maybe if it is Wildhams that it should have an apostrophe – Wildham’s – There appears to be a place called ‘Wildham Barn’ on the map! I also noticed Wildham Barn and had the same thought as you. 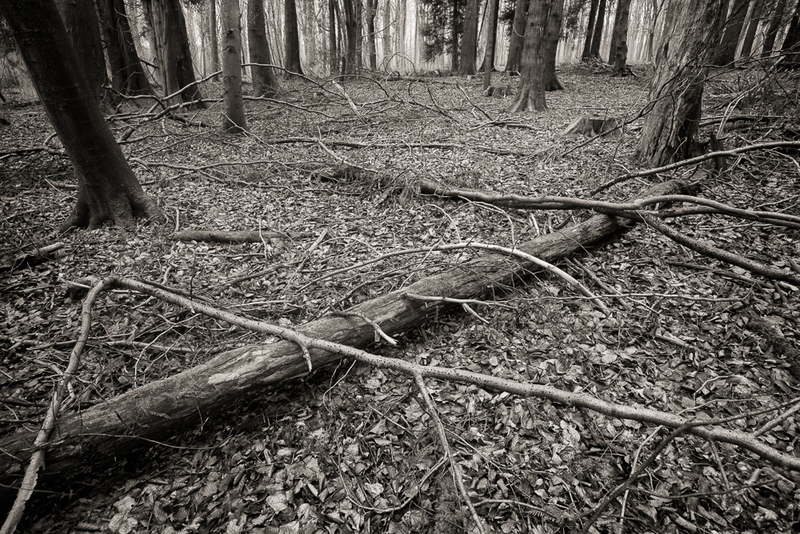 The naming of ancient woods and fields is a subject in its own right – quite fascinating. Pleased you enjoyed the photos too. Thank you.